Last week I discovered something. 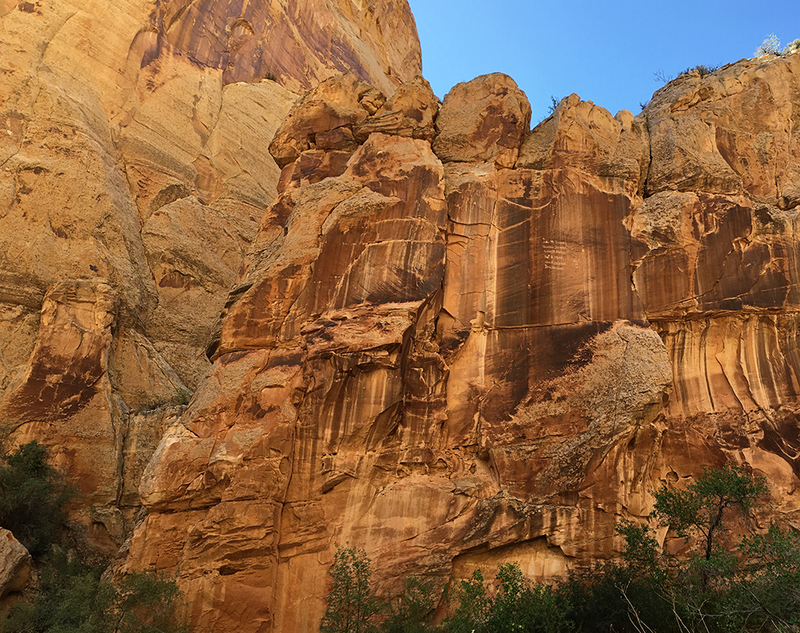 I went looking for a couple posts on some of our Utah excursions–particularly from last year–and I realized I never did share them on the blog. Instagram+Facebook? Yes. Here? No. 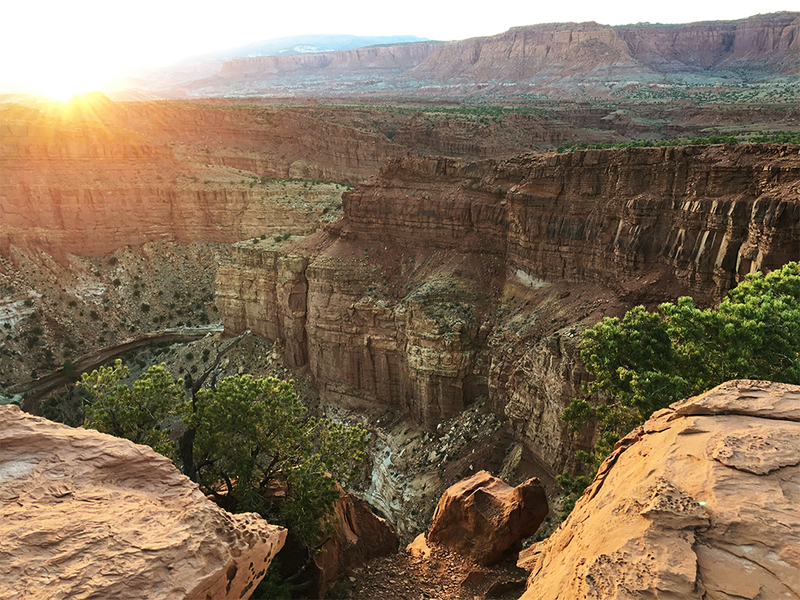 I’ve been getting quite a few questions about places to go and see here in Utah, so I thought I might share them just a little more–with everything being Utah related under the category of Utah Adventures. So this week it’s Adventure Week here at KBS! I’ll be sharing some of those fun+pretty places we’ve been from the past couple years–and not shared here–so not only can you see how beautiful it all is, but hopefully will provide some insight as to these places as well. 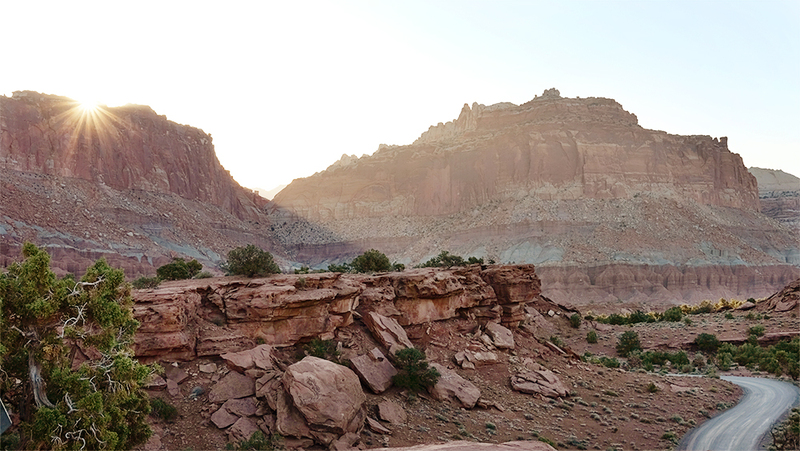 Today it’s all about our most recent adventure–Capitol Reef. 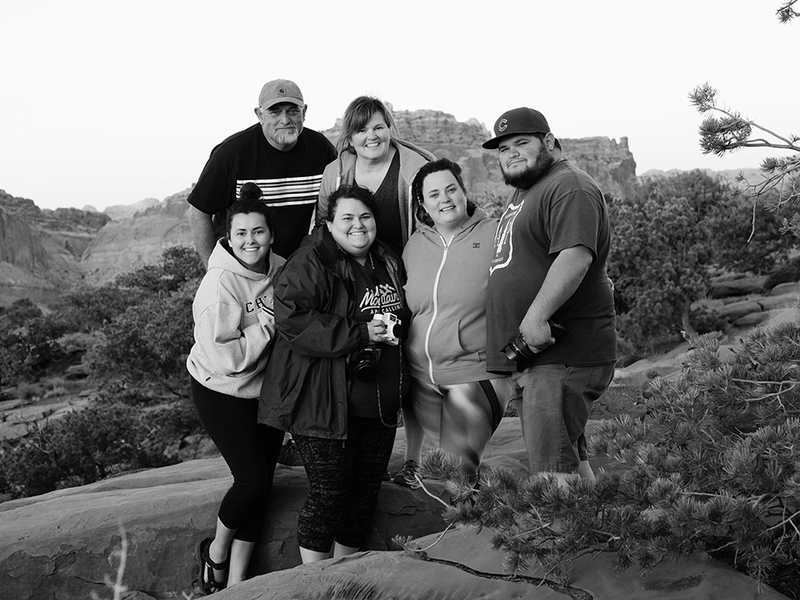 For Mother’s Day all I wanted to do was first, be with my family, and second, to go camping with them all–particularly at Capitol Reef. Yay for me! My wish came true! Sadly I don’t have a lot to share on some of the hikes here because I’m just recovering from my anemia and have been working up my stamina. I didn’t want to overdo it. 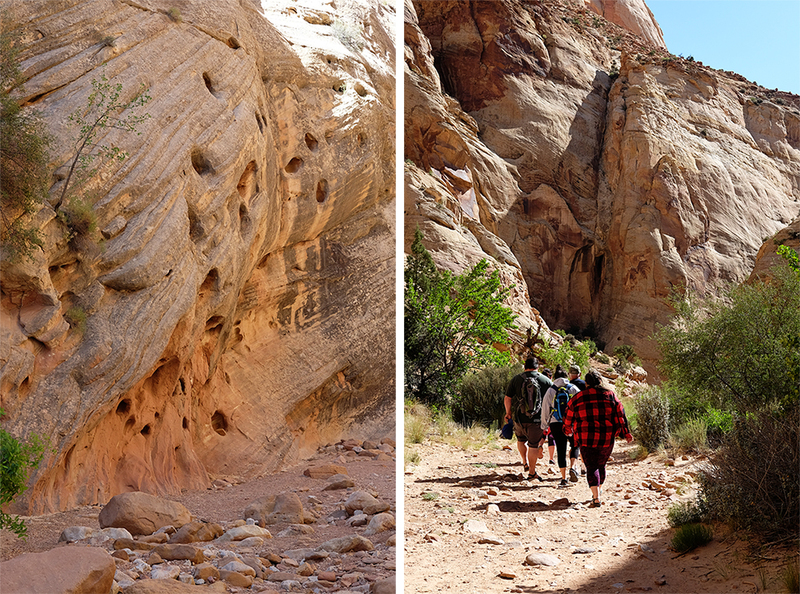 I was proud of myself for hiking two miles along the Capitol Gorge wash–more of a walk, really. And also managed some small ‘hikes’ up a rocky hill. It’s the little accomplishments that make a girl happy. 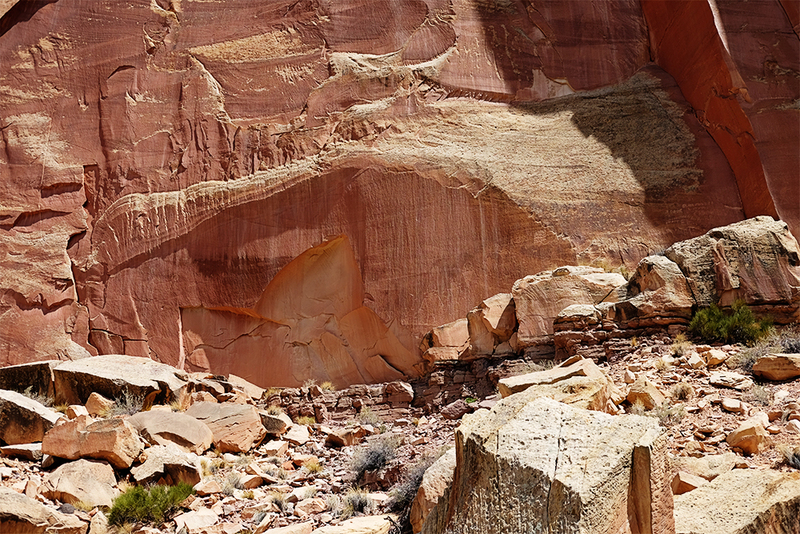 So I really need a ‘Capitol Reef Part 2’ so I can do Hickman Bridge and a couple other of the easier hikes. A big hiker I am not. ;) But we still saw so much gorgeous scenery even without the hikes. So if you’re in a similar boat? You’ll still have a beautiful time. I’ll also be sharing a few photos from my photography excursion from April 2012. I never did share much of that trip here and we saw and did different things. 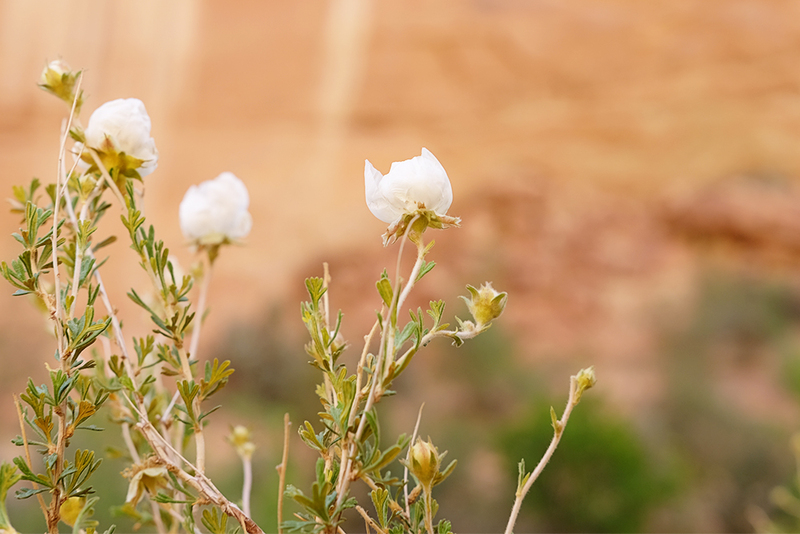 I thought perhaps it might be nice to include a few of those here as well so that you can see more of what’s at Capitol Reef. Here’s a little summary of our trip along with some tips we learned along the way. The girls and I left about 6:30 Friday morning so we could hopefully get a camping spot (three-hour drive for us). Dan, Zach+Shyanne came down after work. Luckily we were able to get a spot! There were only a couple available when we pulled in at about 9:30. Check out is at 11:00, so if you don’t have something by then, you’re out of luck. The reserved tickets that you clip to the post at your site are removed at 7 a.m. So if the clip is empty, you should be good to take it. Ours was removed a day early though. Ack! Luckily I noticed it before heading out for the day and got it back. ;) They also write the date that you’re leaving on the ticket, so that’s another thing you can look for. 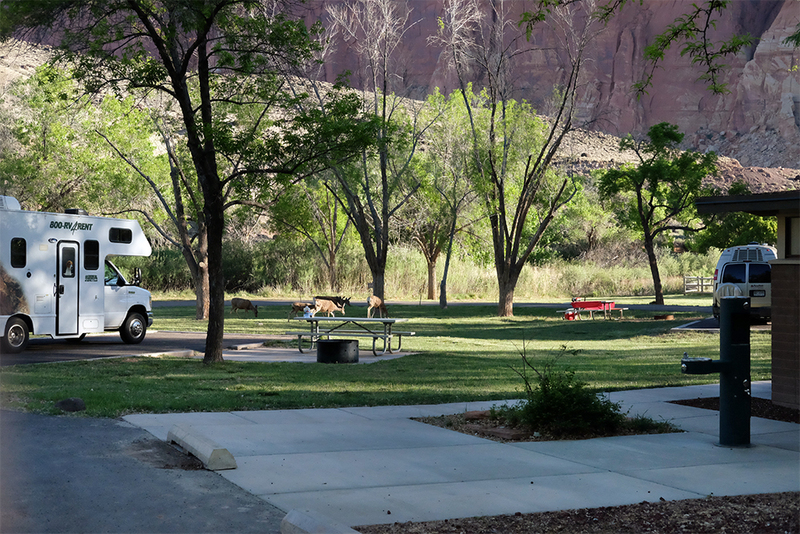 Zach didn’t seem to think it would be all that busy this time of year–especially on Mother’s Day, but we saw many people coming into the campground to check for available space. It cost $20 a night for up to eight people. We had three tents and six people. There was parking in many sites for three vehicles. Some are deeper than others to accommodate longer trailers/motor homes. It’s the luck of the draw for getting a spot though if it’s busy. Check the map on the NPS.gov site for more details on site sizes and other places to camp. A real live bathroom with running water and flushing toilets! Very clean and well kept. Us ‘glampers’ really liked that! There’s also a drinking fountain/water bottle filler/water jug filler station as well as a place for grey water (washing dishes). There’s a picnic table and grill as well as a fire pit in each site. Trees over most of the campsites. Gotta have shade and I looooove trees. Surrounded by tall red rock hills…mountains? Not sure what you’d call them. We were just nestled in its little valley. Beautiful. 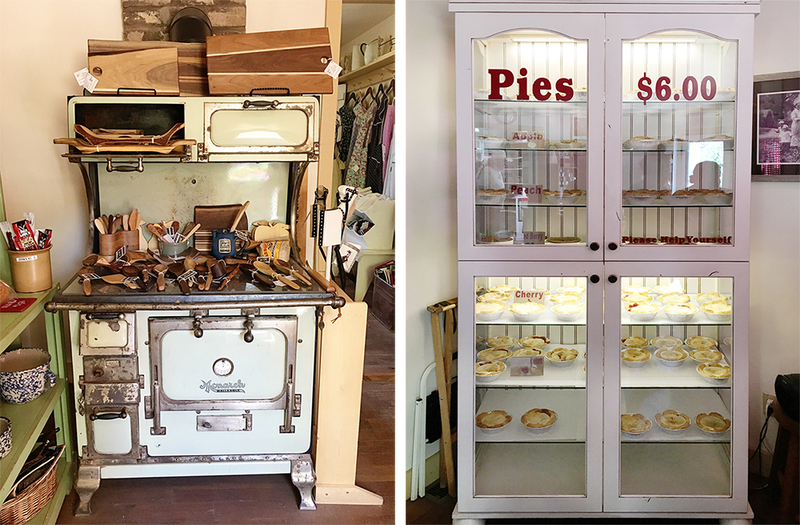 Right next to Gardner House, a little shop where you can get homemade pies. mmm… There’s a little path at the end of the campsite loops that goes along the river and will take you to the place. No need to get in your car. Deer. They like to come down into the pasture next to the campground or even through the campground! One deer started walking right up to a guy, about ten feet away, and them proceeded to poop in front of him. It was kind of funny. They are just fun to watch. And if you have kids, what a great experience. There were wild turkeys and I saw some marmots in the evening too. There’s also an open grassy area where you can just pitch a tent. So if you don’t get a site, you might find an open piece there. A little too close to other campers for my tastes and no privacy. I felt like we had to be a little quieter around the campfire at night. There’s no reservations for campsites. First come, first serve. I’ll say it again, be there before 11:00! If you can’t get a campsite, there are places outside the park on BLM land that you can camp. The few places we saw people camping had no trees though. It’s not so bad if it’s cool, but summer? Yikes. It is a higher elevation area as opposed to some place like Zions, but it still gets quite toasty, especially if you have no shade. On Friday, there were many camper trailers + motorhomes with older/retired people…and german shepherds! I don’t think I’ve ever seen so many in one place! It was kind of an odd thing to see so many people own them in one little campground. On Saturday, many of those people moved out and younger people with tents moved in. The age range changed quite a bit. At the end of the campsite is a stream and a path. 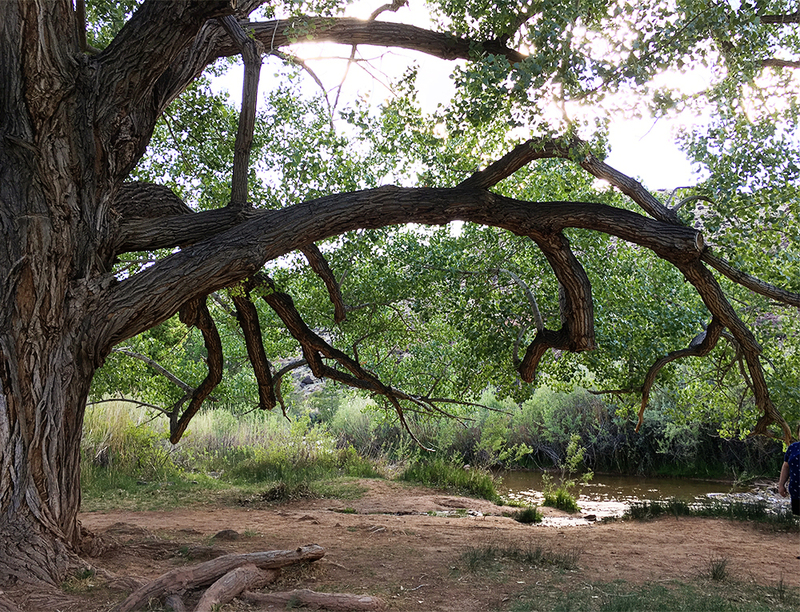 Where we were camping,there was this craggily tree that just looked pretty cool. The path will take you to the Gardner House where you can buy some fun things and homemade pies! Like I’d mentioned, there were a couple of us that really couldn’t do a lot, but still had an amazing time. And hello? Just sitting around and visiting under the trees in a beautiful setting is dreamy and relaxing. It was breezy to windy much of the time, so we only had a short bit of time before the rest of the gang got there where we could play cards. Sounded like a good thing to do that afternoon. And holy cow! The drive was breathtaking! It’s a few miles from the campsite and then you go on a dirt road a couple miles (?) through a narrow canyon. Be sure that your car is in good condition as the road can be bumpy at times. We were in Jordan’s Honda Pilot, so while we saw several cars, I have no idea how they handle that road. There is a small parking lot at the end, so you can do a couple hikes, and I imagine parking can be very tricky. We came again the next morning around 9:00 with everyone and there was good parking, but when we left at 11:30? It was crazy busy! (Also a Saturday.) There is a covered pavilion, water, and an outhouse. 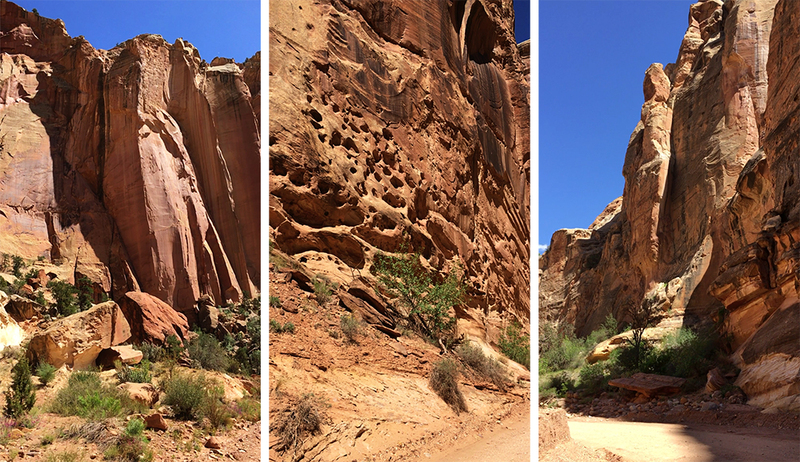 Once you park–after that amazing drive–you continue walking through more of the old ‘road’, or wash along the Capitol Gorge Trail for the Pioneer Register, it’s about a mile in. 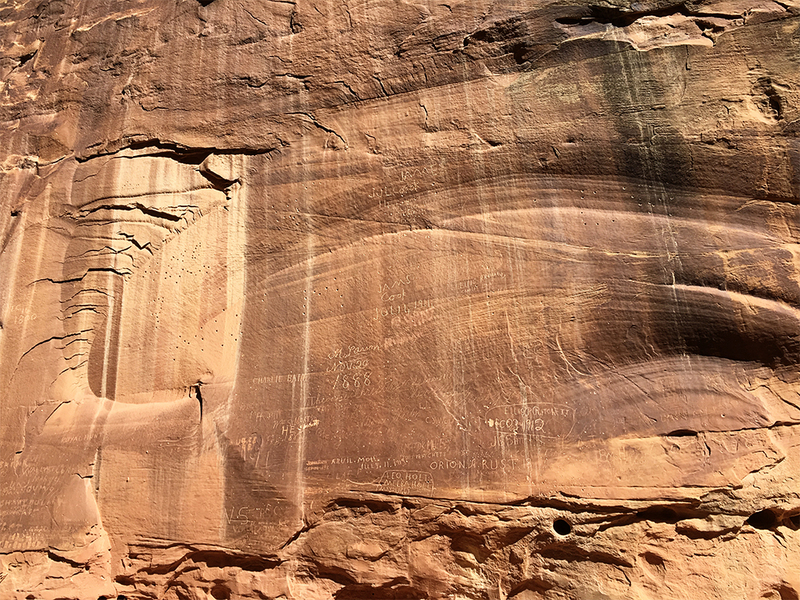 Keep your eyes peeled for the petroglyphs along the way. There are many pioneers that signed their names. This one below? I have no idea how–or why–they managed to do that one! It’s in the upper-right side. The photo really doesn’t show just how tall that is. This was my favorite one. 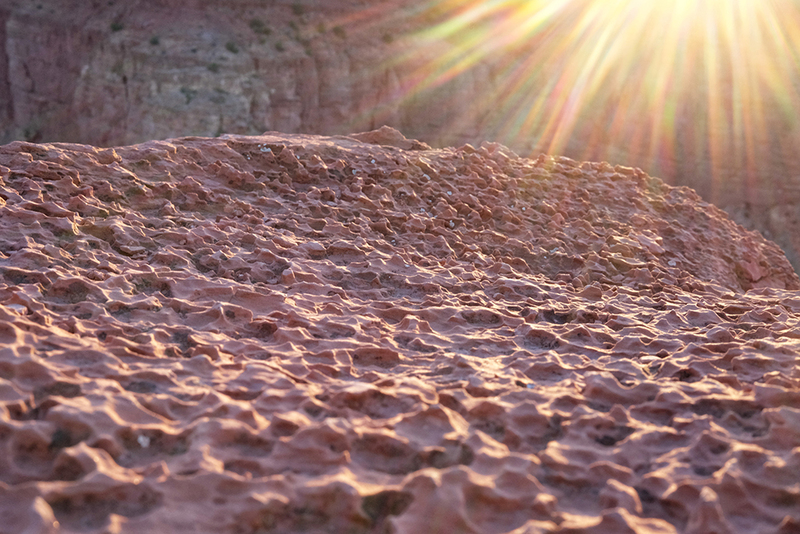 The natural erosion to the place made it look like a sun and wind design to me. But check out these dates! 1888? Wow! 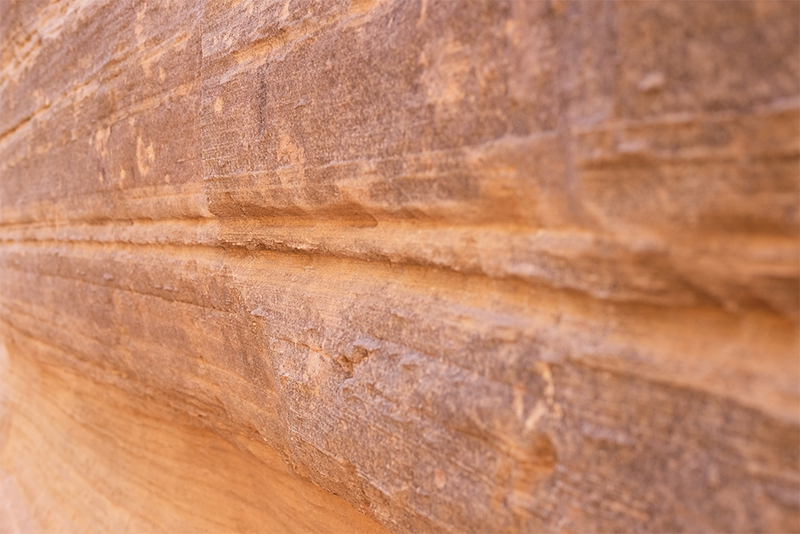 Imagine all the history that has passed through the walls of these canyons. 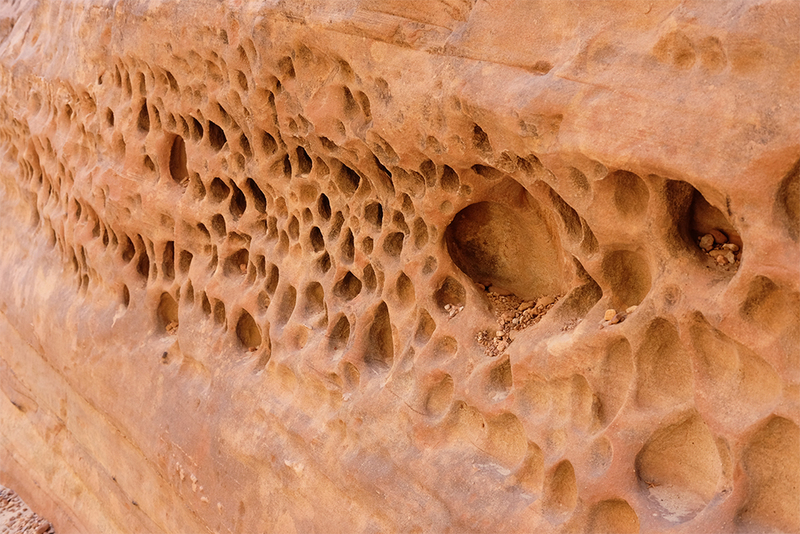 I’m also fascinated with the textures in places like this. It boggles the mind that nature can do this to rock. Do you think something lives in there? 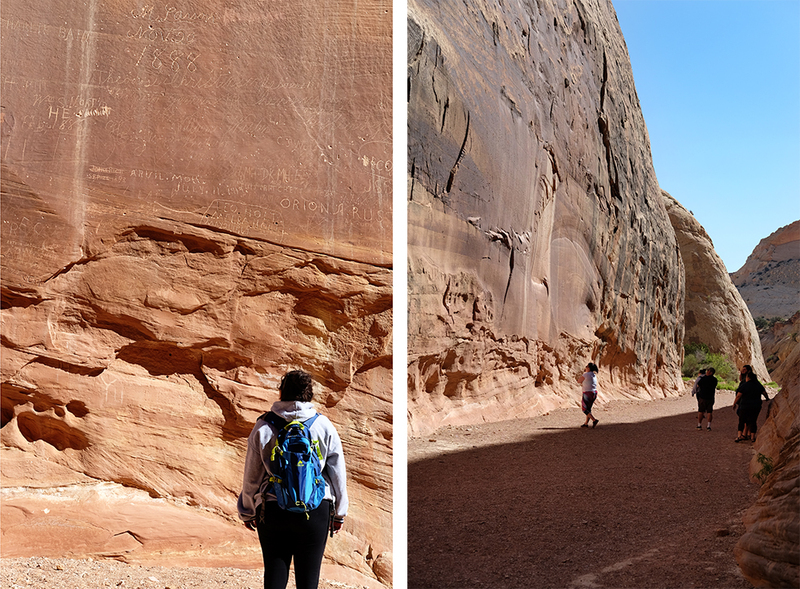 Once we hit the petroglyphs, Kass and I walked back while the others went on to the Tanks. I didn’t think I should push my luck, and I’m glad I didn’t because it was a hefty climb up the rocks. The Tanks are basically ‘pools’ in the rocks to hold water. It may be so cliche to take pictures of the flora and fauna, but I like keeping record of what was there. 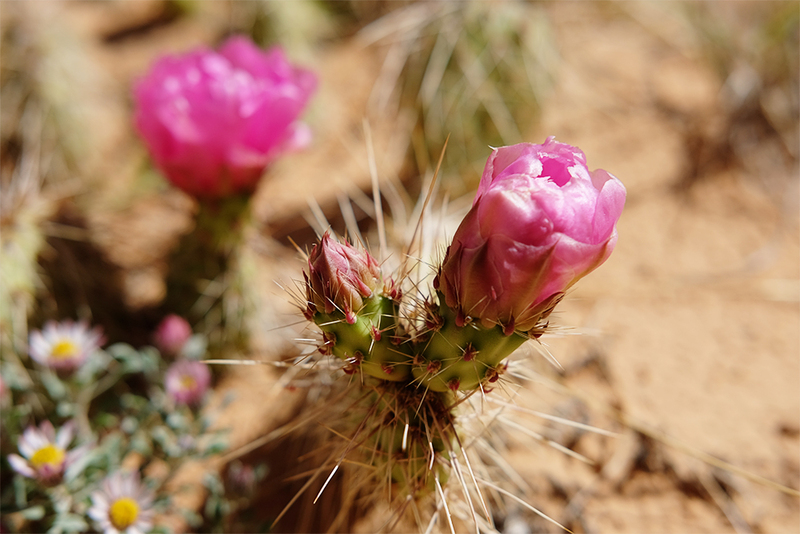 And oddly enough, we seldom get to see cactus around here, much less get to see it in bloom, so it made me happy to get to see it here. And the white against that red rock? Loved that. Kass and I hung out in the pavilion and watched more and more people come. Soooo glad we came early! That’s my motto. Always go early. What was really cute was this big family–the mom and dad and then their kids with kids. The one dad was telling them to be prepared for a five-hour hike. You should have heard the exclamation from the kids! It was too funny. It really is a simple hike and if you take your time, you could spend a couple hours or so there. I think we pulled in before 9:30, and with the other group doing the Tanks, we left about 11:30. 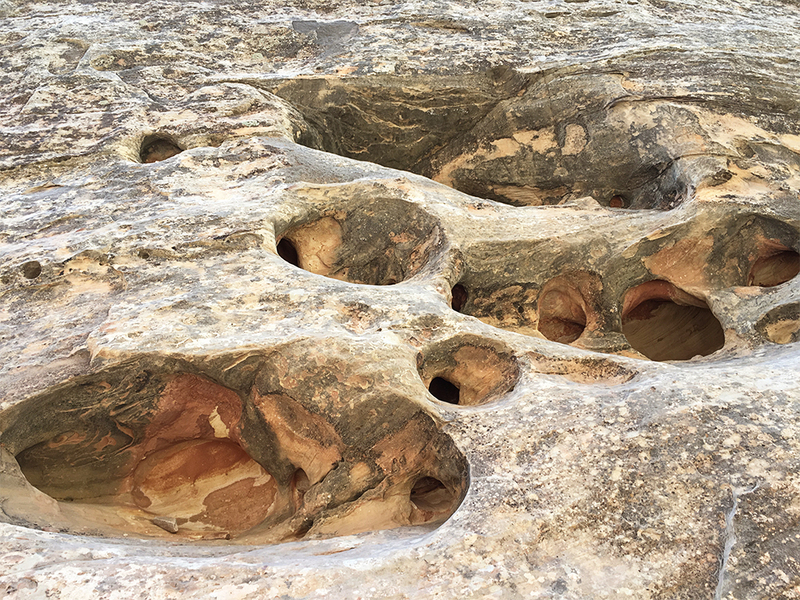 After we Capitol Gorge we took a drive along the main road to see more petroglyphs. It’s not that far from the Visitor’s Center and it’s right along the road. They also have a binocular stand so you can see them up close, because they are actually a good distance from you and you can’t walk up to them. Use the Ctrl/Cmd-Plus Sign on your computer to zoom in on the screen if you can’t see them–even with editing, they are still on the faint side. Look on the flat surface of the rock just above the rubble. On the right you’ll see a family of ‘aliens’ (it’s what it looked like to us) and on the left in the darker red area you can see goats or something. The information sheet says it’s from 600-1300 CE (formerly known as AD). This is a gorgeous place to see the landscape in general, but even more gorgeous to watch the sunset! We went there for sunrise this time (first photo), but when I came for the photo excursion, I took this panoramic shot with my dSLR and merged it together in Photoshop. If you go to Panorama Point, there is a dirt road to the left of the parking lot. Follow it until you hit another parking lot. You can climb up the path in front of you–which is what we did–or I saw a sign for a path to Sunset Point. Sometime I’d like to go check that out. 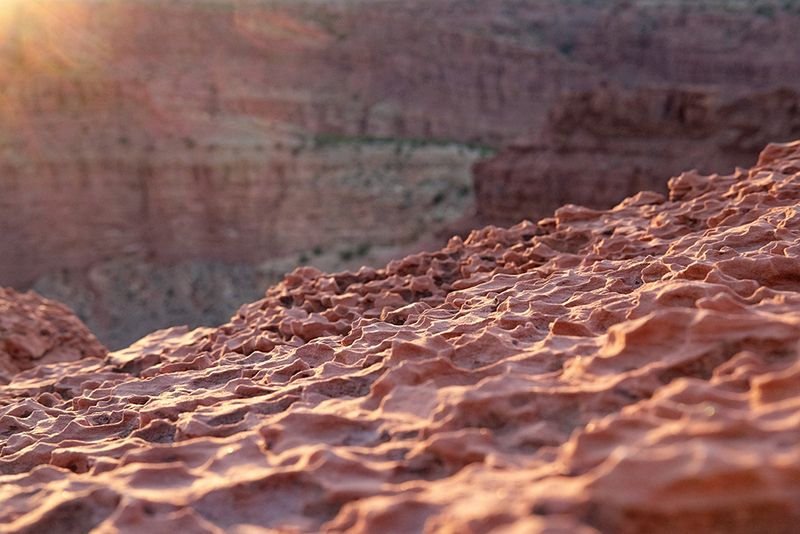 But our choice for sunset was the Goosenecks…and it was gorgeous! This is also the spot where we took our family photo above. There were rocks a-plenty, so I carefully sat my camera on one that was about chest-high, used my keys to prop the lens up just a smidge, and then used the remote from the app on my phone to set the camera and take the photos of us all. Ain’t technology grand? On the other hand, I think that one of the best things about this National Park is very little cell service. I could get service at Panorama Point–when I needed to let our neighbors know that Dan didn’t feed the animals before leaving. But I looooved being unplugged! You can go into the little town of Torrey that’s a few miles away and get better service. 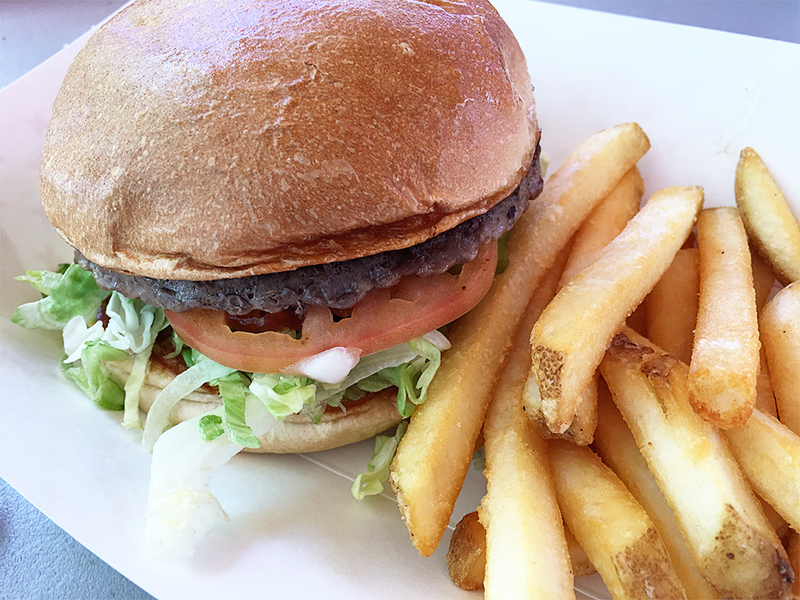 We ate at Slackers and had a bit of this and some awesome shakes. Okay, so again with the textures! The one thing we talked about doing, but didn’t end up doing was this. We thought that maybe next time we go camp there at night to take pictures at night and as well as sunrise photos. This one was a sunrise. The one in front is Sun and the little one to the left is Moon. Isn’t that rock formation just incredible? Oh my goodness, I could just go on and on at the beauty of this place! 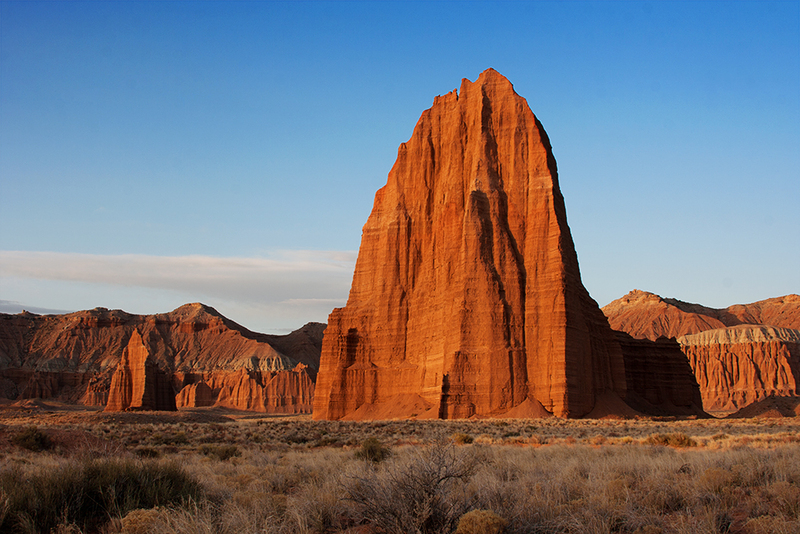 It may be the smallest of the ‘Big Five’ National Parks we have here in Utah, but it still has so much to offer! And even though we didn’t manage much of the hikes, we still had an incredible time! Now we just need to go again. The other thing I love about National Parks is the amount of accents or other languages of people. Always amazed that they choose to come here and see this spectacular land. Why that would amaze me, I’m not sure, because c’mon…it’s a no-brainer, right? Thanks for sharing. We spend a lot of time vacationing/hiking/biking/rafting in SE Utah and I love it all! Thank you thank you for sharing this. I can’t wait to see the rest of the week. I’ve wanted to explore more out West and your posts have only made it worse. One day. I am always the last when we are out and about because I checking out the details and am the one taking photos. If I was first I’d drive everyone nuts lol. They know I will catch up eventually. Oh my gosh Melanie! You make me laugh. I am soooo with you! Always the last. Luckily I have two other photographic kids, so sometimes they are with me and sometimes they trudge ahead. You will love Utah if you finally make it here. It truly is the most diverse state. The scenery is so amazing! One day I want to head that way and see all of these amazing places. Thanks for sharing!!!! I can’t tell you how much I enjoyed this post….and very timely too. My husband and I are finally going on his dream trip this September. We will be flying into Las Vegas and spending 17 days doing the Grand Circle. We are spending two nights in Torrey and have a whole day for Capitol Reef. I’m glad to hear there are easy hikes/walks that still offers beautiful scenery. I have planned an orchard picnic in Fruita with pie from the Gardner House. Thanks again for such an wonderful post. That sounds amazing! I know you’ll have a wonderful time!